Kennedy’s heightened presence this week suggested to some that he was trying to push his Democratic colleagues leftward. Sen. Ted Kennedy (D-Mass. ), who has been more of a behind-the-curtains player on health care reform while he battles brain cancer, is reasserting his voice in the public debate as the Senate races to meet an August deadline. His committee is circulating a 12-page “policy overview” on a bill to guarantee universal access to health care, create a public insurance option, and require individuals and employers to buy coverage. Produced by Democrats on the Health, Education, Labor and Pensions Committee, which Kennedy chairs, the paper offers the first comprehensive description of where the committee is headed on an overhaul bill. “As we near the point of introducing legislation to achieve our vision, we issue this policy overview to lay out our priorities for the legislation,” according to the document obtained Friday by POLITICO. The paper emerged a day after Kennedy published an op-ed in the Boston Globe on his “five major elements” for a health reform bill, and as more specific examples of what Kennedy is considering for a bill leaked to health care advocates. The leaked details suggest Kennedy is laying down a marker to the left of Senate Finance Chairman Max Baucus (D-Mont. ), a moderate who is shepherding a separate bill through his committee. 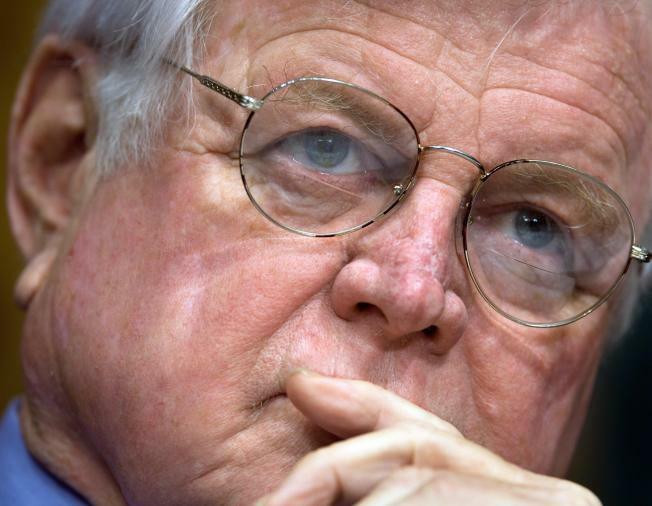 The details are where Kennedy may diverge from Baucus. Liberal health care advocates expect the Massachusetts Democrat to attempt to pull Baucus to the left as they wade deeper into negotiations, and Kennedy’s heightened presence this week suggested to some that he was beginning that public offensive. Indeed, in an email summary that began circulating this week, Kennedy was described as considering a public insurance option that would pay providers slightly more than Medicare rates – a structure that would draw fierce opposition from private insurers, Republicans and moderate Democrats. He would also expand the Children’s Health Insurance Program to cover individuals up to 26-years old – up from 18 – and provide insurance subsidies on a sliding scale to families with incomes 500 percent above the poverty line. Both proposals provide more generous coverage than what is under consideration in the Finance Committee. Erin Shields, a spokeswoman for Baucus, issued a statement that did not directly address any of the Kennedy proposals that have begun circulating.